Issue 1 is being offered as an amendment to the Ohio Constitution. Proposed by Joint Resolution of the General Assembly: To amend the version of Section 1 of Article XI that is scheduled to take effect January 1, 2021, and to enact Sections 1, 2 and 3 of Article XIX of the Constitution to establish a process for congressional redistricting. A majority vote is necessary for the amendment to pass. 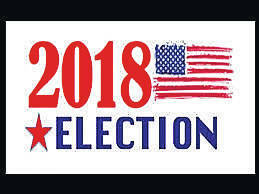 Voters are encouraged to look at the 16 U.S. Congressional Districts as currently drawn. Voting districts range in size from just parts of two counties (District 11 and District 1) to as many as 14 counties and parts of 3 more (District 6). These were drawn based on the 2010 census and voting records across the state. They were adopted in September of 2011. The official state districting map is available online at www.sos.state.oh.us/…/district-maps. Voters may be interested in looking online at https://en.wikipedia.org/wiki/Ohio%27s_congressional_districts. 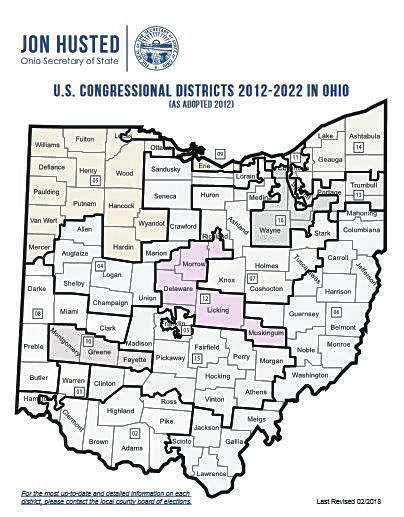 This site lists Ohio’s representatives by district accompanied by a graphic showing that district, and the date their service in Congress began. Off and on, there was an “At Large” Congressional District which was eliminated in 1967 by the Civil Rights Act of 1965. Districts 17 through 24 were eliminated at various times based on the applicable censuses. Crawford County voters can take a detailed look on the Wikipedia site at District 4, which includes Galion. It also includes part of Huron and part of Lorain Counties, along with Sandusky, Seneca, part of Marion, Union, Allen, Auglaize, Shelby, Logan and Champaign Counties.